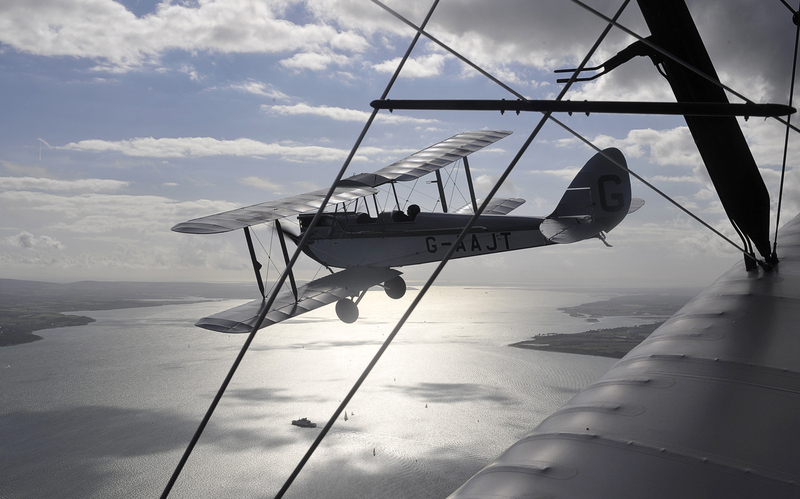 The DH60G was a tremendously successful design for the De Havilland Aircraft Company. There was not a single corner of the world where the aircraft did not operate during the 1920s and 1930s. Many record breaking flights were accomplished in this aircraft. This photograph is of a DH60G that belongs to a friend and is based at Lee-on-Solent in the south of England. I could see this really beautiful back-lighting coming up but could not tell the pilot which way to turn as we had no radio communication. Fortunately he turned left and brought the lighting over The Solent into frame.